Fire Station 12 is located at 6529 S. Broadway, built in 2004. 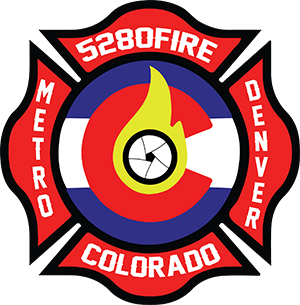 Station 12 protects the central and north eastern sections of the City of Littleton, western Centennial and several miles of busy commercial and retail along Broadway. Arapahoe Rescue Patrol is also based at this station. Former Littleton Fire Rescue Station 12. 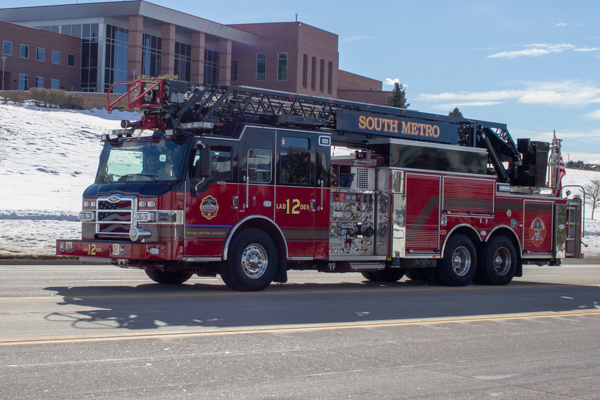 (SM0227) 2015 Pierce Velocity 105′ (27979) Quint rear-mount aerial 500 gallon water tank / 2000 gpm pump (Waterous) with foam (Husky), former Littleton Fire Rescue Ladder 12. 2007 Ford (10651) / McCoy Miller, former Littleton Fire Rescue Medic 12. 1988 Mack (CS-250P) / Marion (37276) / Renault (RVI), also ran as Rescue 11 & Squad 14, staffed by Arapahoe Rescue Patrol, former Littleton Fire Rescue Rehab 12.